"From Concept To Completion, You Think It & We'll Ink It"
Of all shapes and sizes, whatever booklets, magazines or brochures you need printing, we can do it for you. Wedding stationery, funeral orders of service, calendars, architectural plans. 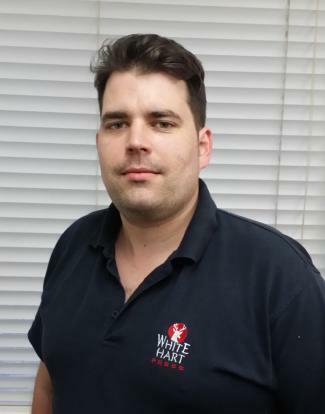 We joined TheROOM with an aim to raise the company profile of White Hart Press Ltd within Bedford and the surrounding areas. We believe TheROOM will benefit us because, by making important long lasting connections, this will generate more referrals leading to more new business. A friendly group offering effective networking in a relaxed environment. I would highly recommend this to any business owner looking to grow their business. Ask any of our members why they love our meetings and they will tell you that it’s because we offer real business opportunities, using a proven structure, but without any of the pressures that are often associated with some other networking groups. Ultimately our meetings are all about making money for all our members and we wouldn’t continue to be successful and growing as a group if it didn’t work. We only allow one business for each trade, or industry, so you will have your business sector all to yourself. We keep our costs to a minimum while keeping the quality of the meetings, venue and breakfast as high as possible. This gives you the best possible return on your investment. As a not for profit organisation, all our group funds are invested back into making the group stronger & more profitable for all our members. We have a program of ongoing training that covers many different areas of business, from accounting and compliance, HR, marketing, social media, banking, legal etc. These training sessions are encorporated into our weekly meetings so our members can learn while they earn! We are so confident that you will benefit from membership of our meetings, we offer a 6 month guarantee. If you attend our meetings, follow our training and are an active member of the group, if you haven’t invoiced at least your joining fee, we will give you not just your joining fee back, but the same again! !